If you have an active blog with high Google PageRank accompanied by either economy or high amount of traffic, your email inbox comprises numerous guest blogging requests, if you have provided correct details in the contact page. The reason is quite simple, as it has a deep connection with the increasing number of bloggers in our world! We can simply observe that most of the newbie bloggers are obsessed with guest blogging, and they strive to publish as many guest posts as possible, especially in websites/blogs that have high Google PageRank. Obviously, the process is quite advantageous not only for the guest author but for the blog owner as well. Hence, as the owner of a popular blog, preferably it is good to promote guest blogging on your blog. However, resembling most phenomena in our world, guest blogging is also having two sides – one of advantage and the contrary. Earlier, we’ve shared right and wrong ways of guest blogging as well as which way you should opt for the consistent success of your blog! The post was, however, aimed guest authors, who used to just guest posts for backlinks, and who, at last, waste their whole efforts in guest blogging campaigns. As we mentioned in the title, this post is for blog owners, who accept guest posts for their blog. There are a lot of advantages from guest blogging in the perspective of the guest author but at least a number of advantages are becoming hazardous for the blog and hence the blog owner. Here, we would like to discuss various aspects of accepting guest posts on your active blog as well as how it affects the blog in the long run. Since we already have discussed the advantages of guest bloggers, who are also blog owners or professionals, here, we will be discussing things in the blog owner’s perspective. Because of our hope that there are a few bloggers, especially newbies, who know less about guest blogging, we would like to start this by giving an introduction about guest blogging along with the importance of the blog owner in the process. If you need a formal definition of guest blogging, that might look like the following one. In the perspective of one writer, guest blogging is the process of publishing one of his articles in another blog of another blogger or internet marketer for gaining exposure and sometimes backlinks towards his own website/blog. Therefore, if you are an owner of a blog, it is the process of publishing articles, written by another writer, in your blog in the exchange of backlinks or (and) exposure. Simply speaking, if you are the owner of a successful blog, people (mainly bloggers) will approach you to publish his or her post in order to gain a few backlinks from your site, which will probably be having either good PageRank [Now, people seem to be also considering Domain Authority for selecting blogs for guest posting]. For publishing the post, the blog owner will probably contact you through the preferred method – Email or through a simplified process. The process is simple and simple because you have to just evaluate the post given by the writer or blogger and then publish it on your blog if it is able to convince you its value. We hope you, now, understand the real action and reaction to the word ‘Guest Blogging’. As we mentioned earlier, guest blogging has a bigger number of benefits for both blog owner and writer, though the writer takes the major room. However, now, we will share a few benefits of guest blogging as a blog owner. Major benefits of implementing guest posting in your fresh or established blog are as follows. Obviously, this stuff is quite valuable if you want to enrich your blog with useful information. If there are only a few members in your contributor team, your readers may get bored with the writing style as well as the selection of titles. In that sense, you can make use of guest blogging in a deeper degree. Because, by allowing GOOD writers to guest post on your blog, you may get quality, unique and interesting content with a different style of writing. When different bloggers – both popular and upcoming ones – are submitting guest posts in your blog, it is actually building the trustworthiness and credibility in the blogosphere community, which can in turn help in growing your blog. For instance, if a mediocre recognized blogger is guest posting in your blog, it means that your blog is something valuable and has the authenticity to publish a good post. Therefore, the publishing process is very useful as far as the impression from the audience make sense. However, here too, you have responsibility to do according to the value of post as well as the author. Just like any other profession, it is a good thing to keep good relationship with your peer group in the blogging world as well! By allowing writers to guest post in your site, you can keep a friendly circle with talented writers, which may be helpful to you in another instance. Especially if you are working with successful internet marketers or top-notch writers in the field, the results will be quite useful than you expect. Social media interaction is something significant in lead your blog to the path of success. Allowing bloggers to submit guest posts in your blog could increase the social media interaction of your blog because good guest bloggers always try to promote their posts in different social networks, as the more traffic towards the guest post means more traffic towards their website, to which they have linked the anchor text. Obviously, this method increases the traffic of your blog as well as likes and shares in Facebook and other social media. Being a two-sided coin, guest blogging has a bunch of disadvantages as well! If you do not care such problems of the blog, it might gift you some penalty from Google algorithms, which can entirely ditch your blog to pathetic situation. In that sense, you should also know about disadvantages of guest blogging so that you could take appropriate steps for avoiding such mistakes. Major disadvantages of guest blogging that affect your blog are mentioned below. Here, we would also mention that all these disadvantages are results of carelessness while accepting posts. If you are not that much caring while accepting guest posts for your blog, it might end up in low quality articles in the blog, which will gradually attract several Google ranking algorithms to affect the ranking as well as the organic traffic towards your site badly. In addition, when one loyal reader of your blog finds some low-quality content in your blog, it forces them to think that your blog is becoming bad and useless. Hence, the presence of low quality content in the blog could not only affect your blog but also your identity in blogosphere and hence the blogging career. Here, low quality also does mean that the post may have some grammatical errors apart from the non-standard English that are also equally important for ranking algorithms. While low quality content is leading to the partial destruction of your site, which is sometimes temporary, the presence of plagiarized and spun articles can make way for the destruction of your blog, as it can severely affect the position in ranking and related stuff. 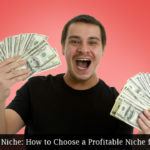 Nowadays, most newbie bloggers, who would like to just make some bucks, are actually rewriting posts from popular blogs using either their grammatically incorrect language skills or some software for article spinning. Obviously, both of these options are hazardous to your blog and its future. Also, such articles hardly make people understand the topic of talk, and hence destroying the value of your blog among reader community. This is the most eminent question while talking about various aspects of guest blogging. As you might know, if your blog has a backlink to low quality or blacklisted websites in World Wide Web, it could cause some severe issues in the ranking section of the blog. Unless the linking site is a good one, you can expect a huge penalty from Google as soon as possible after publishing such guest posts. Hence, this is a dam important disadvantage of accepting guest posts in your blog. Some guest bloggers can ruin your whole blogging experience through the publication of sponsored content, which promotes one product or service in a damn manner. You might not detect the link inside the post but the author will make your visitors think badly about your website, as they start getting useless suggestions as well as unwanted ways of promotion. Of course, creating a bad impression among your loyal readers is a major disadvantage of guest blogging. We should consider the fact that not all guest bloggers are dedicated and talented. They just choose one title, write something on it, and publish it on your blog. In most cases, articles submitted for guest posting are very bad in the sense of SEO and are hardly optimized for search engines. Although you might have optimized all your pages for the sake of SEO as well as ranking, the presence of a few pages, lacking SEO, can harm your site. In addition, another trend seen among these guest bloggers, who guest blog for links, is that they do not include associated media such as images, useful links, or videos in their post. Instead, they just write a few paragraphs and send it to you! Both of these problems are wasting your time because it is easy to write your own article with SEO rather than stuffing keywords in another one. Most times, these link-greedy guest bloggers fail to fetch good titles for guest posts. Instead, they just rewrite a post from a popular site and give it to you, just like the old wine in new glass. Your site may be having good frequency on updates but the problem is that your beloved readers may get bored with these titles and may move to other useful blogs in the web, providing unique content, which results in the proliferating percentage of bounce rate. Thus, you will have a blog lacking consistency of traffic and readability. This problem is also equally important as the formerly mentioned ones. In addition, most guest bloggers forget to select relevant article topics according to the actual niche of your blog. Another problem you might face due to acceptance of guest posts is some copyright issues, regarding text content or images. However, you should expect most from the latter because guest bloggers are not much concerned about the use of images in posts. They just search in Google with proper keywords, take one random image, and then publish it in your blog. Although the blogger might not be having a lengthier connection with your blog, these copyright claims as well as penalties will never stop following you. Isn’t this a big issue? Accepting guest posts in your blog is not an easy task as well as safe too! However, because of these disadvantages, you cannot entirely avoid the guest posting practice in your blog, as it will be damn helpful in certain situations such as writers’ block, diversity of quality content, relationship among blogosphere etc. So, in that sense, we have enough reasons for supporting guest post publishing! And, the most effective way can opt for getting good guest posts for your blog is to set and follow some strong guidelines. You might be having your own requisites for the guest posts but we are here posting some general guidelines of accepting guest posts for your blog. This is where most blog owners fail to understand facts. Once they have started receiving guest blogging requests for their blog, they gradually start accepting any guest post, regardless the author or quality. However, if you don’t want to receive penalties from Google, you should have deep information about the author before publishing the post in your blog. The easiest way to find this thing is to search Google with the author’s name, which will probably show his top articles via Google authorship. Using this method, you can understand the quality of the writers’ writing, does he or she spam in other links or not, whether the author links to low-quality websites etc. Furthermore, the most important thing to check is his/her purpose of guest blogging. You can count various details such as the relevancy of articles, word count etc to confirm whether the author is a link-greedy one. If you find him striving for mere backlinks, do not make a second thought to decline his post. In addition, if you have mutual friends between the authors in the world of blogging, you may ask opinion about the author as well. Also, you should check whether the author is promoting the post in his social media networks, replying to relevant comments, and keeping an eye on the published guest posts etc. Through this method, you can not only wipe out spamming bloggers from the list but also find some reliable and talented guest bloggers. You cannot underestimate the article spinning talents of a guest blogger! Guest bloggers might be able to make the article pass Copyscape using either his vocabulary or any kinds of article spinning software. Hence, if you would like to get quality traffic towards your site, you should give primary priority for unique article titles as well as should try to avoid usual blogging topics. For instance, if a blogger is coming with an article title, which is already published in tens or hundreds of blogs, there is no point in publishing it on your own blog because it can just give you a few bored visitors, unless the content is entirely different but exceptionally useful. In addition, it is important to check whether the content of the post is unique as well as the author has presented it in a persuasive manner. Making mistakes is an easy job but correcting mistakes is a hard job, indeed. In addition, when it comes to mistakes, created by others, the job becomes even tedious. Obviously, you might get some guest posting articles with serious errors. The most effective way to fix this is to publish a good set of guest posting guidelines on your blog. It should be containing information such as the word count, number of allowed dofollow links, a method of guest posting, and the preferred sub niche etc. By publishing such a guideline in the ‘Write For Us’ page of your blog, you could not entirely wipe out mistakes from guest posts but you can surely find out a notable decrement in a number of mistakes. We hope that you have published the standard guest posting guidelines in the ‘Write for Us’ page of your blog. And, obviously, you would have highlighted the option that there should be no grammar or spelling mistakes in article. So, if a guest blogger is challenging you by making some grammar or spelling based mistakes in the article, you should not rethink for declining the article. Because, if one seems to be intentionally making mistakes in the post, you could understand he/she is just blogging for mere link-building purposes. Formatting your posts is equally important as the content because the visual impact could make enough sense! Yet, in the case of guest posts, you might not be able to do proper formatting tasks because of the insufficiency of time. In that case, if you rely upon the blogger, you can try allowing those bloggers to publish their posts directly through WordPress dashboard. Though this thing is possible for reliable guest bloggers, you can save a lot of time, indeed. Yet we have found an effective solution for this problem. Using the solution, you could allow each guest blogger to publish his/her guest posts directly while you can avoid spam-based posts as well as user account registrations in the blog. For knowing more about the solution, scroll down and find the section of simplified guest blogging. It is important to check whether the guest post is properly optimized for search engines. Obviously, SEO is having an utmost importance in blogging world in all aspects. And so, you should make sure that all your guest posts could satisfy not only your loyal readers but also search engines for the sake of organic traffic. However, you might face a slight problem in this section. As you know, you cannot expect a talented writer to be equally awesome in SEO stuff as well, though there are some exceptional cases. However, you cannot compel a guest blogger to learn all aspects of SEO just for getting one of his guest post published in your blog. Either, you can give proper guidelines regarding the SEO-based requirements of your post in the guidelines sections or should manually manage things on your own. No matter which option you choose, the importance of SEO is something inevitable because even a high quality, as well as useful article, couldn’t help your blog if you fail to interpret SEO-based things through the post such as the keyword density, clever selection of keywords etc. We know that the guidelines list is not complete! The list will become larger as you start exploring various sections of each of your blog because guidelines are different for a different niche. However, what we have given above are a few of the effective guidelines for accepting guest posts. Hope this could help to enhance the guest post accepting side. Now, we will move to the section of SIMPLIFIED GUEST BLOGGING! From all what we said in the above sections, you can simply understand that the practice of accepting and publishing guest posts is not at all easy but requires a notable amount of a blogger’s clock. However, you do not have to worry that much about the thing, at least after finishing this post. 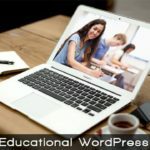 Here, for the sole purpose of helping many bloggers, who receive tens or hundreds of guest blogging requests but having not enough time for proofreading those articles and then publishing it, we are presenting you a systematic guide for automating the process of guest blogging in your blog through the clever use of powerful WordPress plugins. Hope this will help a notable number of bloggers to cut off the amount of time, they spend for reading guest post emails, reading the post, making corrections, and finally copying the whole posts, formatting it in WordPress editor, and publishing it. Of course, the last but least steps are consuming more time and we will be trying to fix those issues. In addition, we will also give some tips in automation, which can indirectly help you in attracting good guest bloggers to your blog. You might be using various methods for accepting guest posts, such as receiving the post via email (As doc), or using one form, in which the guest blogger will have to fill in details including name, links, posts, etc. Nevertheless, both of these methods have their own issues. For instance, the first method will force you to go through a large set of steps, as we mentioned earlier whereas the latter restrains the author from adding SEO-based information (if you use any WordPress plugin for that), formatting the post effectively and following the lengthy method whenever he/she want to guest post in your site. Therefore, the better option is to allow guest bloggers through their own account in your WP blog. For this, as you know, each guest blogger will have to create a contributor-role account in your blog, despite he/she will face no further problems. You can follow the below steps for enabling the options. You have done it! Now, you can provide the sign up for guest bloggers and tell them to register in the blog if they would like to guest post in it, and they can register as the contributor of your blog. As a contributor, each guest blogger can save their posts as a draft in your blog, and you will have to review and publish it. In this method, the author will be able to make his own kinds of formatting, doing SEO-related stuff etc. Nevertheless, how will you know that blogger has saved a post as a draft? Since there is no such option in WordPress by default, we have to use ‘Peter’s Email Collaboration email’ plug-in for WordPress. Once you have installed and activated this on the blog, there will be an extra option named ‘Submit for Review’ in the WP editor. So, you can tell guest bloggers to hit the button instead of saving as a draft. And, when a blogger hits the ‘Submit for Review’ button, you will get a notification that he has saved a guest post in your blog, and you can either accept or decline the guest post after reading. In addition, it can help you in sending timely updates about his/her guest posts to each guest blogger. This means that those guest bloggers will get notifications when you have changed the status of the guest post (when you approve, schedule, or publish the post). Therefore, you can cut off the necessity of informing guest bloggers through email that their posts have been published in your blog. However, if you choose to follow this method, you have that duty to tell guest bloggers to keep their eyes on formatting as well as SEO. Though you might be having random guest blogging companions at the start, you might get some usual ones as time progresses. In that case, the above-mentioned method becomes useless, especially when you know that his/her work is awesome and there is no need for proofreading it. However, we can fix this issue by the use of a plugin, Capability manager, which could help you in creating customized user roles for the WordPress blogs that you can assign to guest bloggers. For instance, if there is a guest blogger named Jack, who has awesome writing skills, SEO techniques, and essential factors of a successful post, you can create a specific user role. In the user role, you may assign various privileges like post publishing, post deleting, etc. Hence, the user role will be quite adequate for your purpose, and you could add the guest blogger into the list so that he could publish posts directly without your proofreading supervision. As you can guess, this plugin is useful not only in guest blogging but also some other situations, when you want only a few privileges to a user, especially while seeking help from an expert and you do not want that expert to view extra sections in your blog. In addition, earlier, we had published a post, which featured must have WordPress plugins for all bloggers, who like to accept guest posts in his/her blog. So, all those plugins very useful and you can simplify the guest posting process if you use them. So, we have talked about the practice of simplifying guest blogging as well! Now, as you have scrolled until this point, it seems like you are interested in implementing guest blogging in your active blog to avail many advantages like those that we have mentioned above. However, the process of attracting GOOD guest bloggers to your blog is not a simple job, indeed. Nevertheless, we have found out some awesome tips for engaging guest bloggers on your blog and hence to keep your blog updated with quality and fresh content (optional). Now, we will check out those tips. Here are some effective tips for attracting new as well as talented guest bloggers towards your blog! However, before you start implementing these tips on your blog, you have to do one thing essentially. You should know how to respect guest bloggers on your blog. It does not mean that the blogger has no skills, just because of that he/she is guest blogging for backlinks on your site. Hence, you should start guest blogging on the site, by giving a wave of respect to the guest blogger. 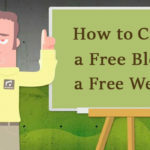 As far as we have analyzed, this tip is effective in not only increasing the engagement of guest bloggers in your blog but also helping your blog by means of traffic, along with the advantage of building good connections among the blogosphere. In addition, when one guest blogger of your blog shares his experience with his friend in the blogosphere, it will both help your identity as well as the identity of your blog in the huge world. For at least a few of you, this may sound weird and you may ask ‘why should I give money to a stranger blogger?’ as the result of common human conscience. Well, you do not have to take a part of the whole revenue of your blog and give it to the guest blogger but you have to just give them, what their work deserves. In this case, you can allow your guest blogger into insert his/her own AdSense advertisement in his/her post. Though the process is very simple, you can avail many things from the task. For instance, if one blogger has put his own AdSense code on his blog, he will definitely try to increase the traffic towards the post through various methods of promotion. In such a way, you can get good results. In this case, we have found an awesome plugin for doing the mentioned job very well, quite neatly! You could install the free WordPress plugin ‘Revenue Share for Authors’ and hence enable an awesome for allowing guest bloggers to publish their own AdSense ad in their guest blog and to get paid for each click. After the installation of plugin, as the admin of blog, you have to give your publisher id so that you will get the 50% of whole impressions for the post. On the other hand, the guest blogger could publish his publisher id in the profile section of author account. If you have done these all correctly, then you have set up revenue sharing for guest bloggers in your blog. Wasn’t that simple than you guessed? Although this point deals with respecting guest bloggers in your blog, it has the significance to standalone. If you are confident that one guest blogger has written an awesome guest post for your blog, you should not think much for appreciating the person. In addition, it would be very useful if you can create a special page or section, where you can keep a list of top guest bloggers in your site. According to common experiences, people seem to be interested in guest blogging in sites, which give them appreciation and publicity. So, it’s a kind of two-faced-advantage. Also, it is equally important to keep contact with those bloggers and they will be interested in giving you good articles if you could keep a friendly bridge between top guest bloggers. If you are using the author-based guest post accepting system, you do not have to ponder on this topic because you are already giving maximum authority of those posts and it is quite impressive than making an account Guest Author and publishing all posts under the author name. Moreover, it is also important to gift guest bloggers a good way to contact you. For example, you can create a dedicated email address for dealing with guest blogging requests and give it in the contact us page so that you could keep track of all requests rather than messing it up in the single inbox. Even though there are some exceptional cases when considering communities for guest blogging, the majority of those communities could do the job very well in attracting talented guest bloggers towards your blog. By registering in such communities including ‘MyBlogGuest’, you are telling other bloggers that there is a guest blogging opportunity on your blog, which is a big deal. In that way, you could attract many talented bloggers. In addition, communities such as MyBlogGuest are offering dedicated plugins for famous CMSs like WordPress. Obviously, this job will be very effective, indeed! Well, we have covered almost every section of accepting guest posts on your active blog! As far as we have told you, we can understand that the practice of accepting guest posts has many advantages as well as disadvantages at the same time. However, just like every successful guest blogger, your real talent is when you could boost the good part by avoiding the contrary from the list. And we hope, it will help each newbie blogger who needs to consume those advantages of guest bloggers. By the way, we wish happy guest post accepting!